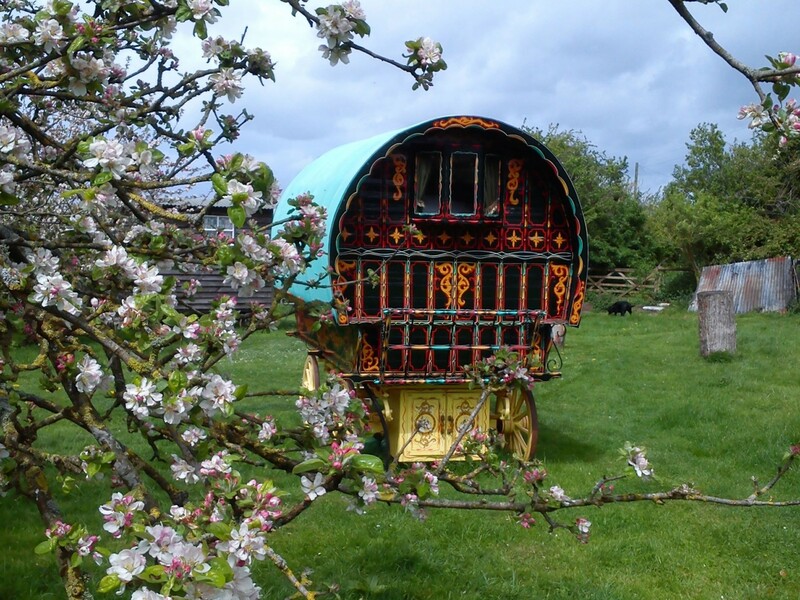 in a beautiful, fully restored, gypsy bow top wagon and sample a lifestyle almost lost to the modern world. If you are looking for some peace and tranquillity away from your normal life, then staying with us is the answer. 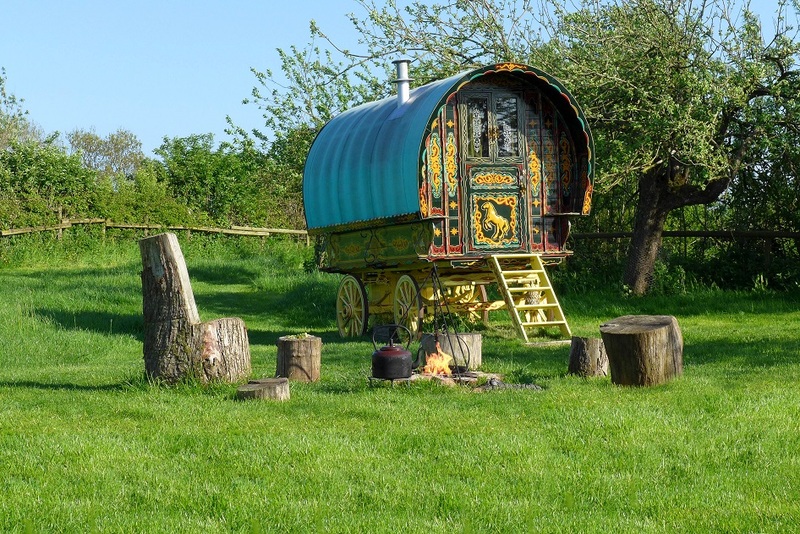 Tucked away in the heart of the beautiful Somerset countryside, at the end of a no-through lane but entirely separate from one another, you will find either The Famous Five gypsy caravan or Ruby nestled in the lush surroundings of an old cider apple orchard and wild flower meadow. Sit on the caravan steps in the evening savouring the moment while watching the embers of the fire fade with the end of the day. 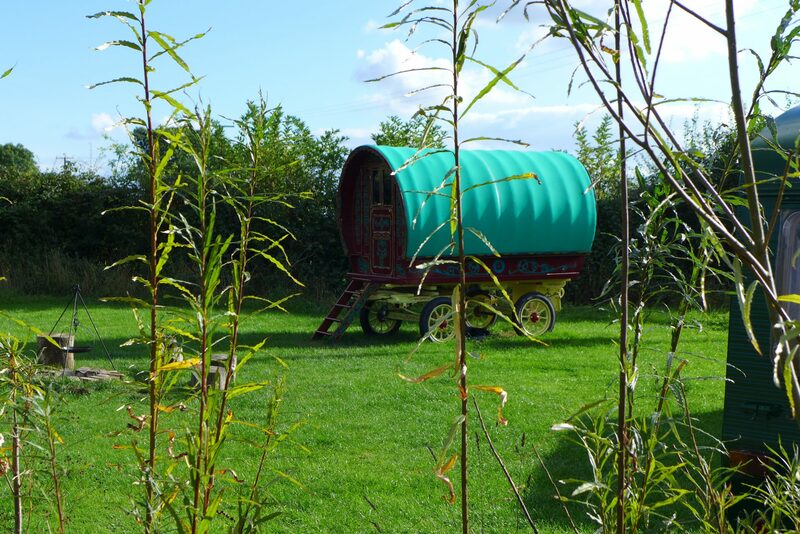 Maybe you’d like to relax inside your wagon with its detailed Romany interior contemplating the wonders of life….. 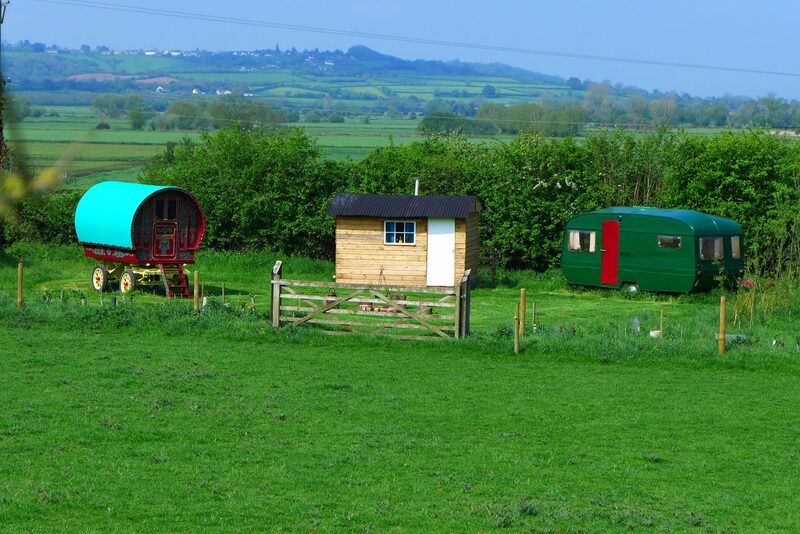 Enjoy the timeless peace of the surroundings or visit some of the many fascinating, beautiful and historic places this part of Somerset has to offer. It’s perfect for couples who want a romantic break together or families looking for an exclusive getaway. Prices are based on two people staying and can start from as little as £82 per night. See our booking and prices page for more details. Our ponies, donkey, chickens, sheep, pigs, cat and of course Crumble our dog will give you a warm welcome! Thank you so much for letting us share your wonderful orchard. It was a total treat and we loved every minute…. This was such an exciting experience. I loved stroking the lambs. I am so happy, even if you glued my feet to the floor I would be happy here. Lovely romantic location. Thank you. To wake up with the sun shimmering through our window and cooking on the open fire is a way of life we could live with! Wow….what a wonderful experience we have had. This is my ideal romantic getaway. 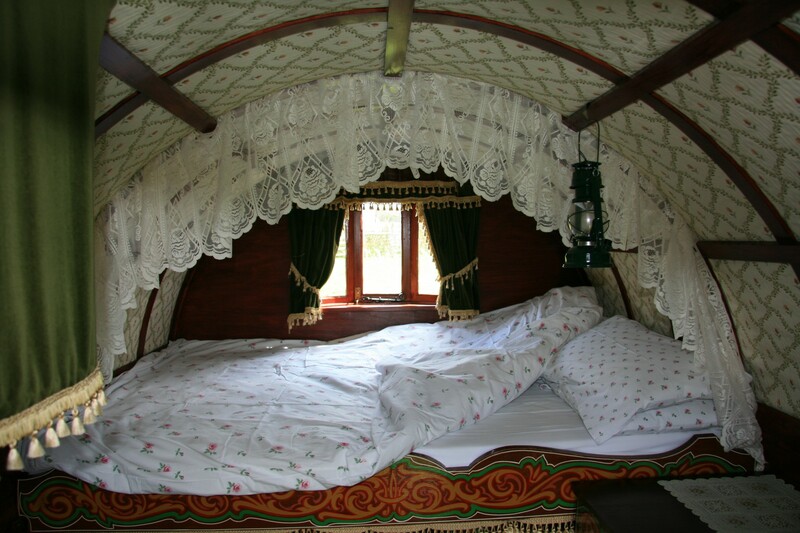 I have always dreamed of staying in a gypsy caravan. A lovely few days getting back to nature in such a peaceful place. It should become essential for all families with teenagers! We’re back again…..another fabulous experience. See you next year! If the doctor had known how we were feeling he wold have ordered this……………. Another set of memories made! Such a beautifully serene setting to sit by the fire looking out onto the rolling hills. Thank you for allowing us to stay in this beautiful setting with the open fields and nature at its best. What a magical place. One night was barely enough and yet everything we dreamed it would be. Thank you so much for a special and unique experience. Thank you for a beautiful and relaxing stay. The bowtop is absolutely stunning and so comfortable. Copyright © 2018 Gypsy Caravan Breaks, All Rights Reserved. Designed & Created By Lollystick.